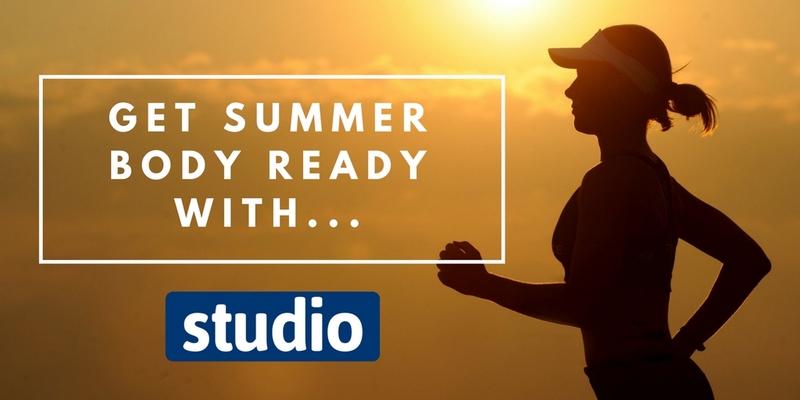 Studio Blog: Summer holiday season is just around the corner, but are you summer body ready? Summer holiday season is just around the corner, but are you summer body ready? After hibernating through the winter, over-indulging in delicious treats while hiding the evidence under an over-sized jumper, summer is now just around the corner – and we are NOT summer body ready! If you’re one of many who have left the battle of the bulge to the final moments before boarding the plane, Studio is here to help you get fit in time for your flight. From getting set for the gym to bringing the work out home, we’ve come up with a list of tips to make you feel like a beach babe… not a beached whale. So here it is, five simple steps to the summer body you’ve been dreaming of, all you need now is a little time, motivation and will power – easy, right? Just like a day at the office, a gym also has their very own dress code. If you want to avoid sticking out like a sore thumb, get set with the latest attire to grace the exercise scene. From Adidas to Nike and Puma, there’s loads of big named brand sportswear available to suit all budgets. If you feel body confident, go for a pair of sleek leggings and a vest to keep cool while you burn off your winter sins. However, if you’re looking to stay in your comfort zone during your workouts, cover up in joggers and a hoody. Even if you get too warm, the more you sweat the better you’ll feel! Become a part of the wearable tech trend by investing in a fitness watch to track your weight loss journey. From FitBit to Garmin and Tom Tom, there’s a selection of fitness trackers for sale to suit all budgets. Not only do they look stylish, these innovative watches track everything from your workouts to your daily steps, heart rate and sleeping pattern, ideal for anyone who needs to get to know their body. As well as high tech gadgets, old favourites like weighing scales are essential for tracking your journey – even when they don’t say what you’d like them to! Once you’re set with your swanky new sportswear and tech, it’s time to hit the gym! If you’re lucky enough to have a local gym and the time to work out, there are plenty of memberships available to motivate. Aim for between 2.5 and 3 hours of consistent exercise a week to see results! However, if like many women you’re tied down by family life, it’s harder to find hours free to work out. But do not fear, this is where home gym equipment comes into play. There’s a huge range of cost effective gym equipment available for you to bring the work out to you. From treadmills to exercise bikes, rowers and cross trainers, you can work up a sweat without leaving the house, meaning you won’t have to find a baby sitter. Also, try cost effective options like skipping ropes and shapers, perfect for little workouts when you have a few minutes free. When it comes to losing weight, the age-old mantra of Eat Less, Move More is not to be ignored. Forget the fad diets like Slim-Fast and Atkins, it’s all about eating healthy meals to compliment your workouts. Although planning healthy meals can be tough, especially when you have a family, there are a variety of innovative kitchen gadgets to help make healthy cooking a doddle. From blenders for sweet smoothies on the move to vegetable steamers and air fryers for taking the guilt out of chips, there’s a massive range of options available to overhaul your meal plans. The last step is all about the final push – if you don’t lose the weight, you won’t fit in your gorgeous new holiday clothes, simple! Whether you want to do this step at the start or nearing the end of your weight loss journey is up to you, but fitting into new clothes is the ultimate target for anyone hitting the beach. 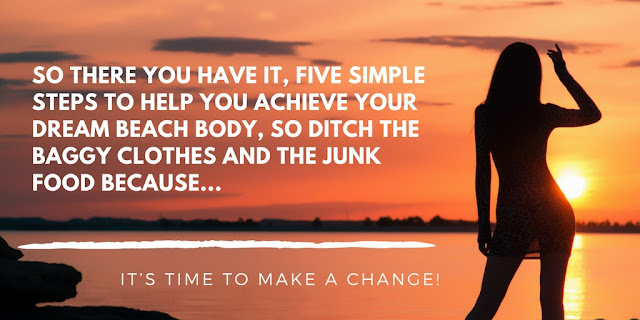 Splash out on a range of clothes to fit your target weight, and keep it on show throughout your health kick to remind yourself daily of your target… before long you’ll be slipping into your new threads with ease!